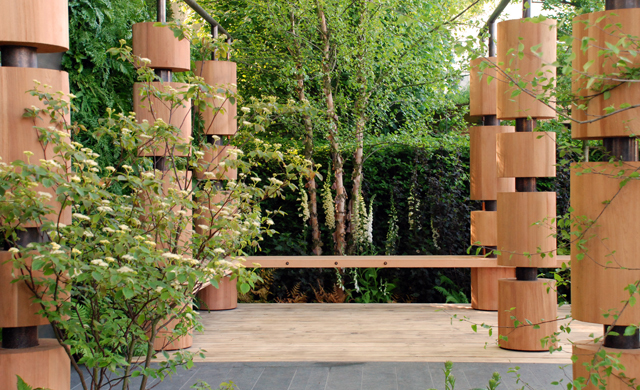 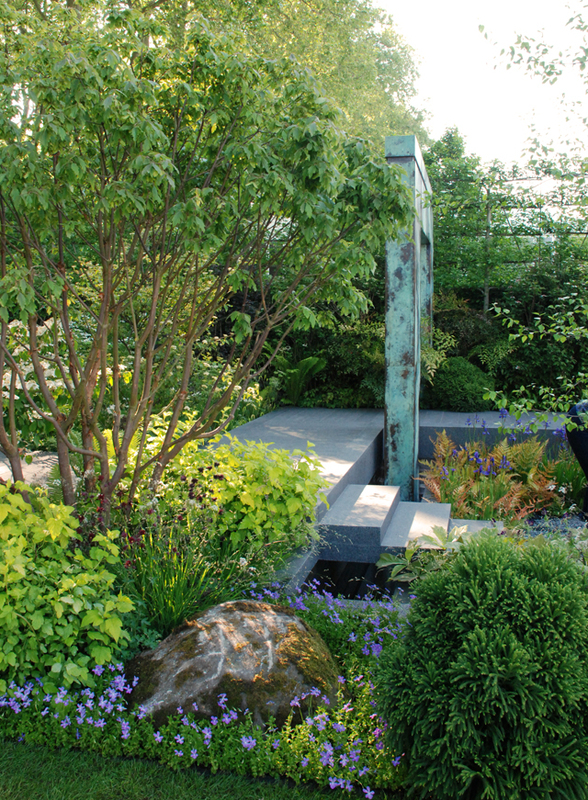 Last week I watched some of the BBC Chelsea preview programmes and one of the gardens they were following in depth was The Brewin Dolphin garden, designed by Matthew Childs and built by Bowles & Wyer Contracts. 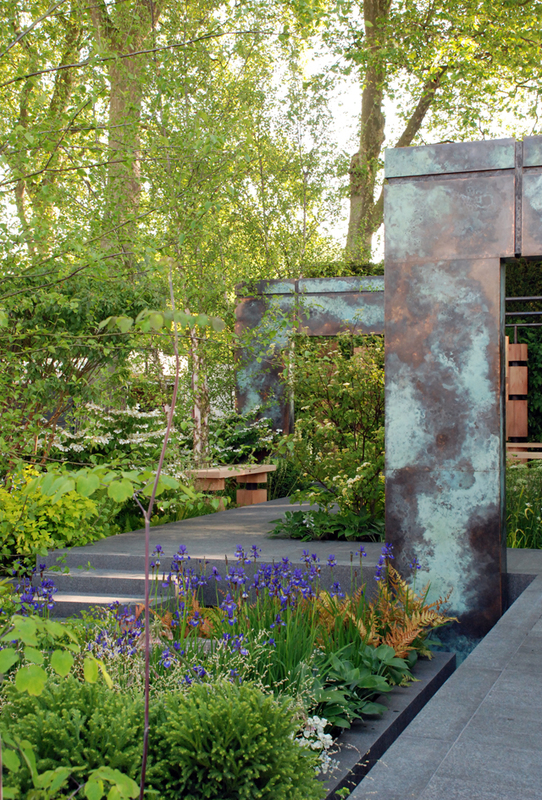 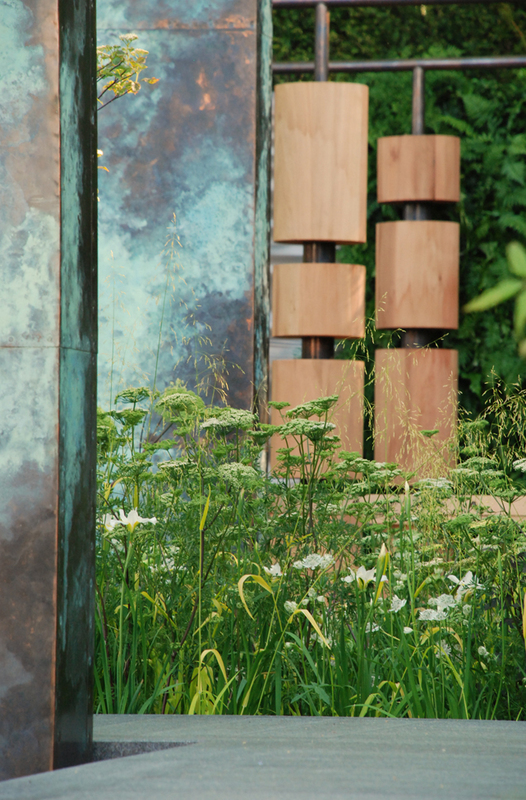 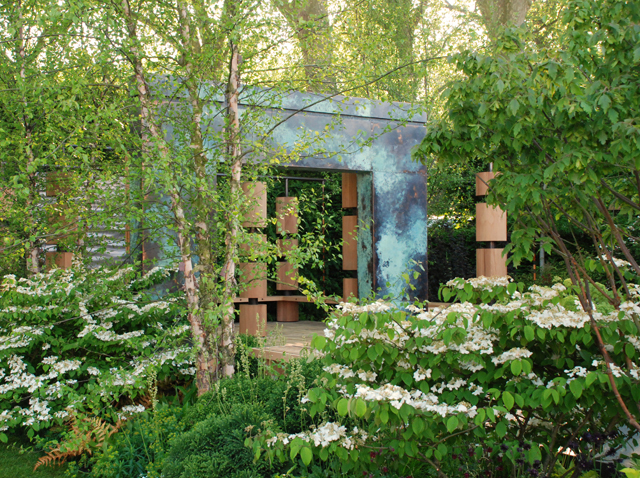 After seeing the copper archways on TV I was really looking forward to seeing them in the flesh and I have to say they were fabulous, especially in the dappled sunshine which seemed to bring out the colours. 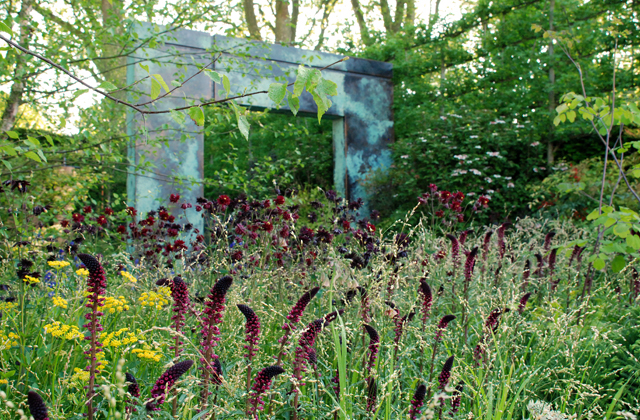 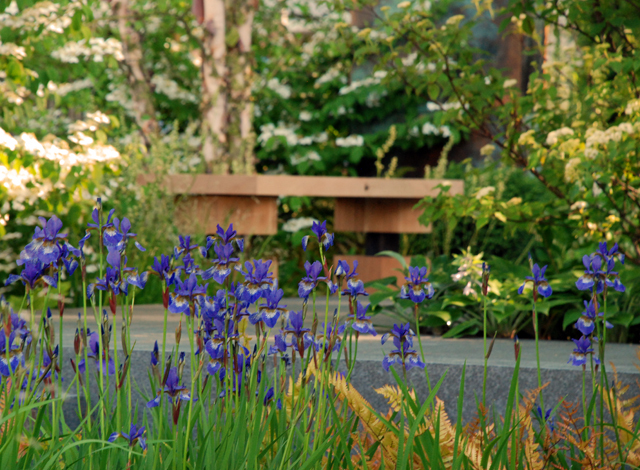 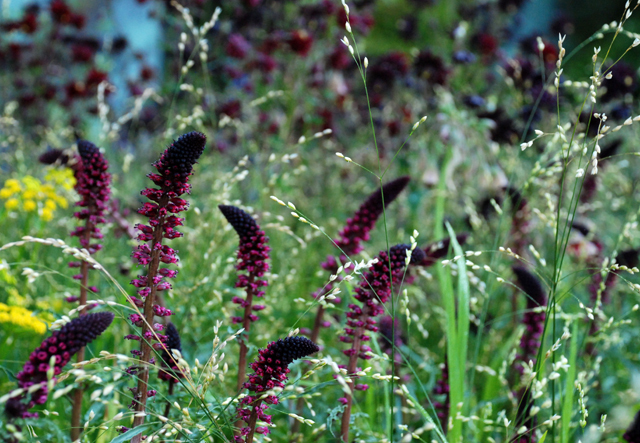 The planting was gorgeous too – deep purples, greens and yellows – a bit of a theme at this year’s Chelsea, but that’s nothing new – it really depends what the weather’s been doing as to what plants are looking at their best! 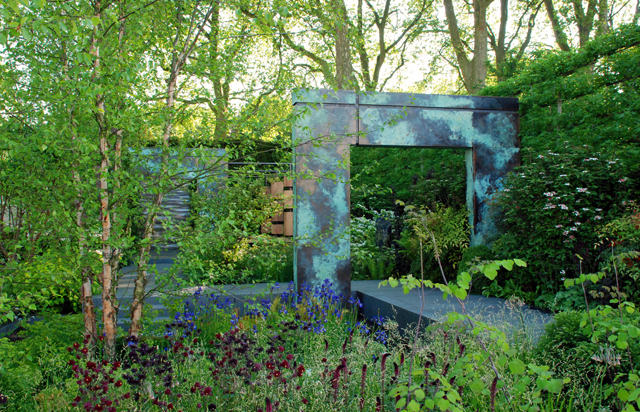 This was Matthew’s first garden at Chelsea and was awarded a silver-Gilt Flora medal. 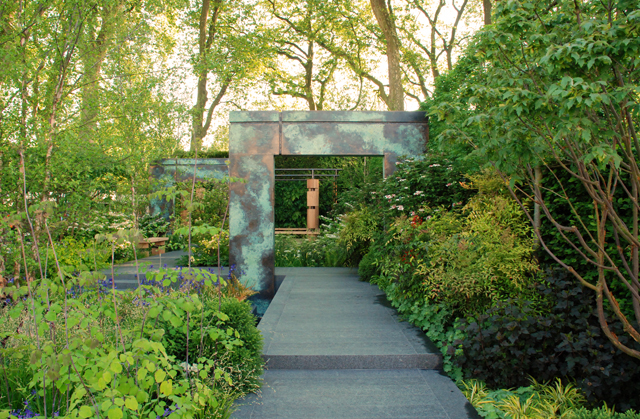 Personally I thought it deserved a Gold, but I guess I’m not a judge so what do know!? 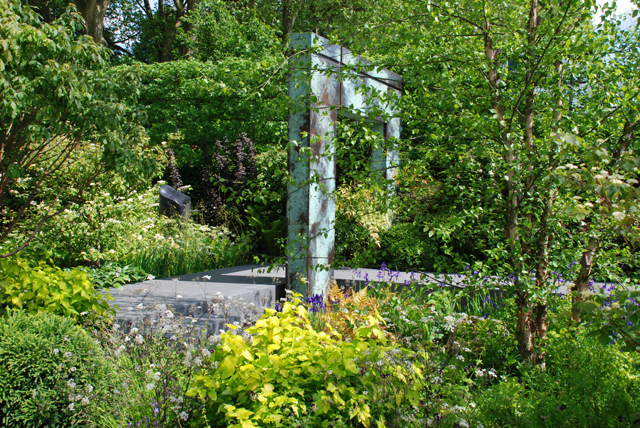 If you’re going to show this week ‘d love to know what you think of it?